^ Identity card of the Eiffel Tower. Tour-eiffel.fr. 31 December 2009 [24 May 2010] （英语）. ^ The documents. Tour-eiffel.fr. [24 May 2010] （英语）. ^ The structure of the Eiffel Tower and its evolution. Tour-eiffel.fr. [24 May 2010] （英语）. ^ Chronology of the main construction periods. Tour-eiffel.fr. [24 May 2010] （英语）. ^ A few statistics. Tour-eiffel.fr. [24 May 2010] （英语）. ^ Dictionary of technical terms. Tour-eiffel.fr. [24 May 2010] （英语）. ^ （英文） 存档副本 (PDF). [2009-01-09]. （原始内容 (PDF)存档于2008-12-02）. ^ The Tower operating company. Tour-eiffel.fr. [24 May 2010] （英语）. ^ The industrial maintenance of the Tower. Tour-eiffel.fr. [24 May 2010] （英语）. 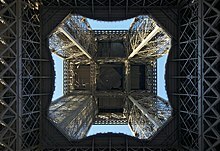 ^ The Eiffel Tower at a glance-Things to Remember. SETE (Official Tour Eiffel website). [1 January 2014]. 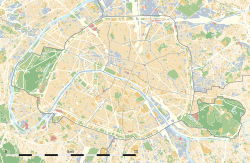 ^ The Eiffel Tower at a glance-Key Figures. SETE (Official Tour Eiffel website). [1 January 2014]. ^ The 72 scientists 互联网档案馆的存檔，存档日期2008-02-15.. Eiffel Tower official website. Accessed 2008-01-31. ^ Cass. 1re civ. 互联网档案馆的存檔，存档日期2009-11-16., 3 March 1992, RIDA 1994 no. 159, p.113. ^ Image rights - the Eiffel Tower brand. SETE (official Tour Eiffel website. [3 January 2014]. ^ Eiffel Tower: Repossessed. Blog.fastcompany.com. 2 February 2005 [24 May 2010]. （原始内容存档于2008年5月12日）. ^ E.g., "La représentation d'une œuvre située dans un lieu public n'est licite que lorsqu'elle est accessoire par rapport au sujet principal représenté ou traité"; Cass. 1re civ. 4 juillet 1995. Christophe Caron, Droit d'auteur et droits voisins, Litec, 2006, §365.